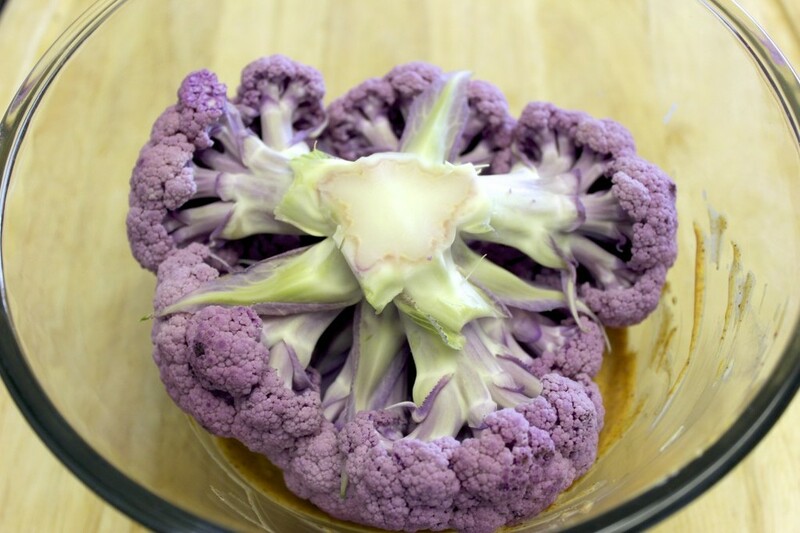 I used purple cauliflower which makes it look fantastical. It's a word. The best definition I've found for fantastical is "conceived or appearing as if conceived by an unrestrained imagination." That's what this cauliflower looks like, my unrestrained imagination. But white or yellow cauliflower would look amazing, although conceived from a pretty restrained imagination. Ok, so on to the recipe. The cauliflower will be coated in a yogurt sauce that will become a yummy crust after baking. Use whatever plain yogurt you like. Regular, greek or sheep's milk yogurt. 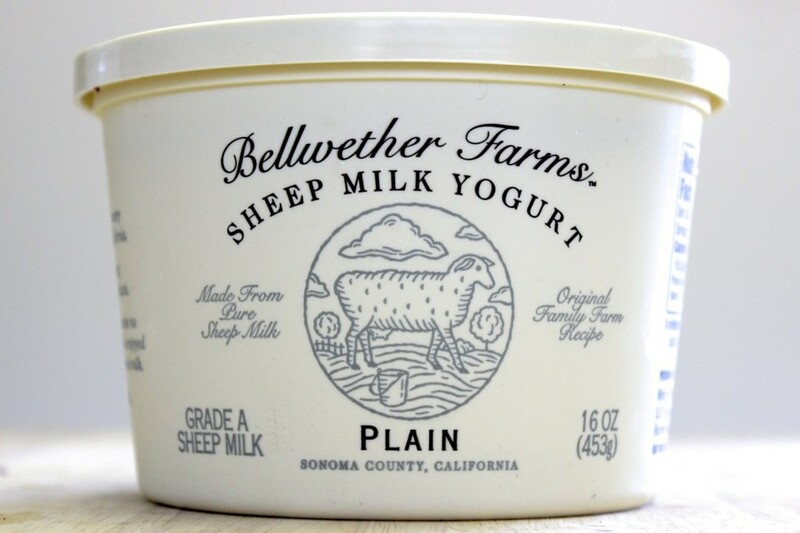 Now, I grew up on this stuff and it tastes great, just like regular yogurt. Plus you can eat it even if you're lactose intolerant. You know what, I'll let the yogurt speak for itself. Cut the bottom of the stem off, making sure to keep the whole cauliflower head intact and remove the leaves caressing the cauliflower. If you cut too much of the stem off you will end up with little florets and that defeats the whole purpose. Set the cauliflower aside and pour a cup of yogurt into a bowl. Add a teaspoon of all the spices and S&P, to taste. 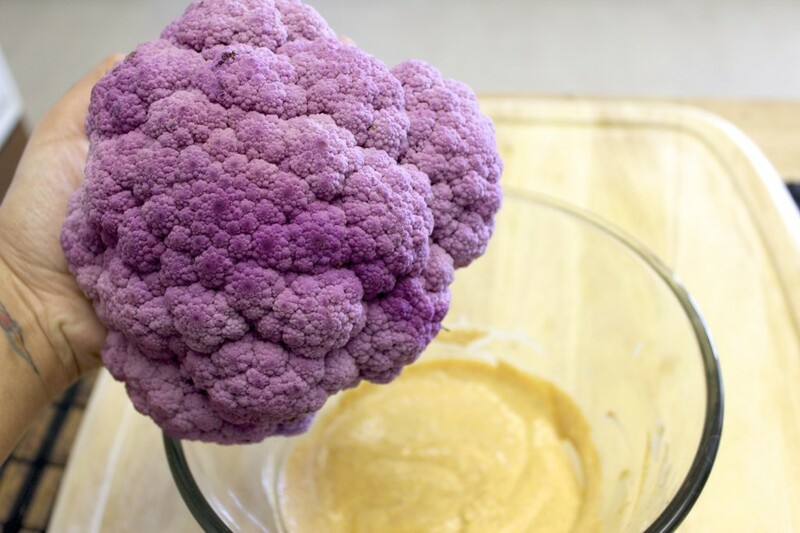 If your bowl is big enough to fit the whole head of cauliflower, dip it in the sauce upside-down. Otherwise, you can just use your hands to smear the yogurt sauce all over the cauliflower. Save the excess sauce and store in the fridge. Use it to make this recipe again or to spread it on meats and other veggies before baking. So good. Oh and pop that cauliflower in the oven for 30 minutes. Cauliflower never looked and tasted so good. I love the crispy crust the most. Trim the cauliflower by removing the leaves and cutting the stem, if needed. DO NOT cut the stem too much, you want the cauliflower to stay whole, if you cut too much of the stem off it will break up into florets. Pour a cup of yogurt into a bowl and add all the spices and stir. Once yogurt sauce is combined, and if your bowl is big enough, dip the head of cauliflower upside down into the yogurt sauce. Otherwise just use your hand to spread the sauce on. Smear the yogurt all around the cauliflower until it's fully coated. Add more yogurt if needed. Place on a lined baking sheet and bake for 30 mins or a few minutes after you can smell the spices.